The Hospitality Formula Network enters 2011 with a tremendous amount of momentum. The last year resulted tremendous growth in readership. December was the strongest month of the year by far. In fact, more people visited these sites in December of 2011 than all of 2010. With this momentum comes opportunity. That is why I have vowed to make 2012 the best year ever for The Hospitality Formula Network. I wanted to share today some of the features you can expect to see on each of the sites in The Hospitality Formula Network in the upcoming year. 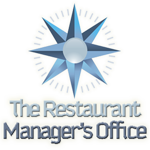 The Manager’s Office: The Manager’s Office has evolved nicely over the last year with posts on leadership, marketing, and harnessing the power of social media. This year I am going to focus a bit more on the operations side. The next few months will focus on the systems that allow well run restaurants to remain profitable even when sales are down. This will begin with ways to control and lower you liquor costs and increase bar profits. I will also be clearing up some of the misconceptions about social media and how to utilize it more effectively in the next few months. 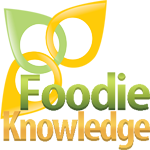 Foodie Knowledge: This blog has always focused on demystifying the restaurant industry to those outside the business. I have been hashing out a series for a while that I think will contribute to this understanding. In the upcoming weeks I will answer the question that I see time and again in search engine referals: Why is food so expensive in restaurants? 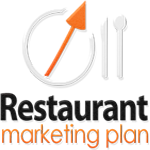 I will also explain why it is a relative value when you consider the added costs facing restaurants. I will also share some recipes that can improve the quality and decrease the cost of common restaurant ingredients with recipes you can also make at home. 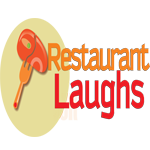 Restaurant Laughs: Restaurant Laughs will continue to focus on the lighter side of the industry. 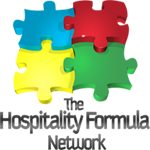 It will morph into a site filled with shorter posts updated more frequently. I also anticipate spinning the site off from the network by the end of the year. Restaurant Laughs is an outlet for thoughts that don’t belong elsewhere in the network. As time progresses, it will be more of a stand-alone site. Fortunately it will make room for another site in the near future. Tips Squared: Given the 180 posts on this site, the 140 pages in my book, and the crossover topics on other blogs, it would be fair to worry that I have exhausted all of the thoughts I have to share on this occupation. Fortunately, I have much more to say on this topic. In the coming months you will find more ways to fine tune your service. This will help you increase your sales and your income. Tips2: The Book: This site will acquire a blog of its own. These posts will shed light on some of the topics in the book and explain how to better utilize it. A second edition of the book is only weeks away. When it comes out there will also be additional formats and bonus features available on the site. This is a precursor to some big projects that will be revealed in 2012. Tips For Tips: Last year was an odd year for my original blog. Finding a way to fit this site into the network proved difficult. 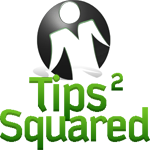 Instead of just utilizing as a referral site, I hope to use it for a weekly recap. It will also host more local news on the Kansas City restaurant scene for the mostly local readers who utilize it. This will become a valuable resource for those with limited time to keep up with the other posts on the network. Hospitality Formula: This site will still serve as the home of the entire network. The transformation of this site has already begun. Instead of simply copying the first two paragraphs of each post, it will serve as a behind the scenes commentary on the topic of the day. These are a few thoughts of my own to introduce what I am sharing that day. The goal is to introduce the topic in a way that makes you want to learn even more. Overall, expect shorter posts more frequently. I am working on reducing the size of each post to make for quicker reads. There will also be more posts that build upon each other to convey more difficult topics in multiple parts. I will also be sharing some big announcements on non-blogging endeavors I am involved in. 2012 is going to be a great year for The Hospitality Formula Network. Thank you for being here for the beginning. I hope to provide you with many more reasons to return in the coming year.